Though the MacBook Pro with Touch Bar was only refreshed this week, we’re already seeing discounts on Apple’s latest laptops. The latest MacBook Pros pack in Intel’s 8th-generation processors and are described as among the most powerful notebooks Apple has ever produced, topping out with a six-core processor on the larger 15-inch model and a quad-core chip on the more compact 13-inch. If you’re a student, you can currently save $150 on the laptops from Best Buy. Without an education discount, the 13-inch model starts at $1,799 and ships with a 2.3GHz quad-core Intel Core i5 processor with integrated Intel Iris Plus Graphics 655, 8GB RAM, 256GB solid-state drive, a True Tone Retina Display, Touch Bar with Touch ID sensor, and four Thunderbolt 3 over USB-C ports. The 15-inch model starts at $2,399 and comes with a 6-core 2.2GHz Intel Core i7 processor, discrete Radeon Pro 555X with 4GB GGDR5 memory, 16GB RAM, 256GB solid-state drive, Touch Bar with integrated Touch ID, and four Thunderbolt 3 over USB-C ports. Best Buy sells all configurations at the same price as Apple, but if you sign up for the retailer’s Student Deals, you’ll get a coupon code that will take off $150 off the retail price. Apple is also running its own back-to-school promotion that will net you some discounts off the retail price. Like Best Buy, Apple’s back-to-school deals also apply to the newest MacBook Pro models with Intel’s 8th-generation processors. The 13-inch Touch Bar-equipped MacBook Pro starts at $1,699 with the educational discount from Apple, a savings of $100. The 15-inch model begins at $2,249. Discounts will vary depending on the configurations. Students who bundle AppleCare through Apple’s retail channels will also receive 20 percent off of the extended warranty protection plan. As part of its summer promotion, Apple is also throwing in your choice of either a Beats Solo Wireless, Powerbeats Wireless, or Beats headphones for free. The Beats Solo Wireless is the most expensive option for the freebie, with a $300 retail value. Depending on your needs, going with Apple may save you more money. However, if you’re a student or educator who only needs a laptop, Best Buy’s more straightforward discount may be more appealing. If you do spring for a MacBook Pro, bear in mind that Apple has not offered a permanent fix for the issue of sticky keys. 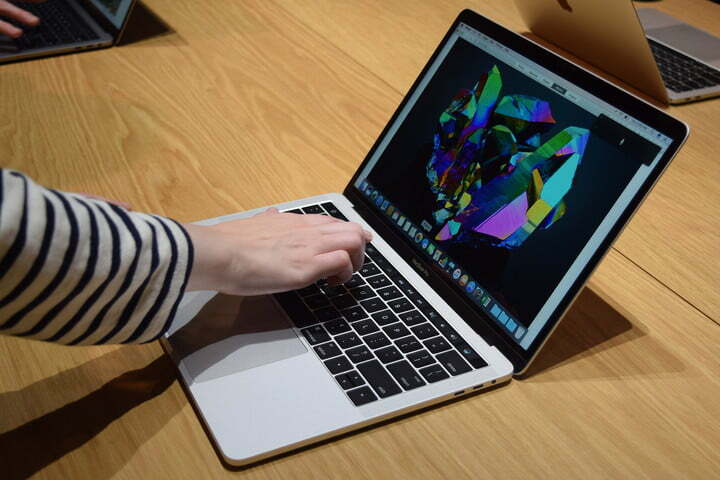 Although repairs may be free with Apple’s new keyboard repair program, you may be without a laptop for a few days while Apple tries to fix your notebook if it is affected by this widely reported flaw. Published on Fri, 13 Jul 2018 22:36:58 GMT, © All rights reserved by the publisher.